I n my writing and presentations, I’ve emphasized the importance of leading with humility. Fair question. 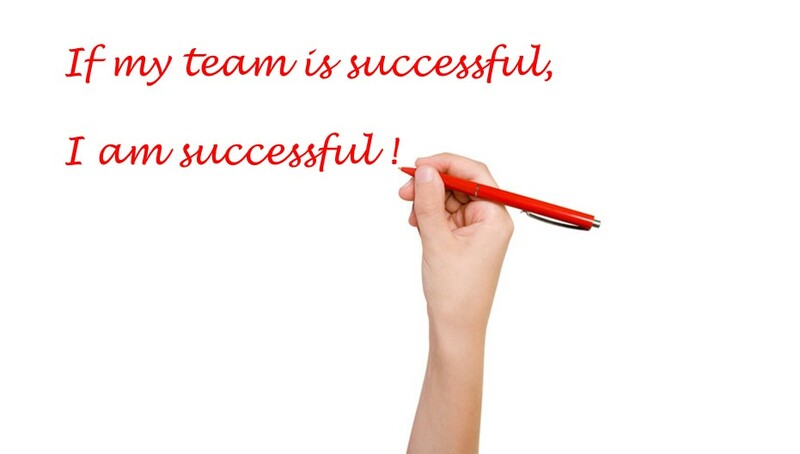 My simple answer: team success is never about you. Yes, you may have identified, recruited, and selected the right people to be on the team. Yes, you may have provided the training and coaching to everyone on the team. Yes, you may have made the tough decisions to take the team in a certain direction. Yes, you may have fought to get the team all the necessary tools to be successful. Yes, you may have put in more work hours than anyone else on the team. Yes, you may have rolled up your sleeves to help when the team needed it. Yes, you may have created a positive environment in which everyone on the team was engaged. Yes, you may have inspired the team with pep talks to overcome challenging obstacles. Still, team success is never about you. It’s about your whole team-and you are part of the team. Humility is a leadership characteristic that earns trust and respect. With that comes loyal, dedicated followers who will accomplish the goals you set.